The terrorists from Gaza and Nablus have conquered the American campuses. Do something. 674 anti-Israel events occurred at US universities during the 2011-12 academic year. Now, for the first time in US history, the Association for Asian American Studies voted to boycott Israeli academic institutions. At its annual conference in Seattle, the group’s general membership unanimously voted in favor of the anti-Semitic resolution. These corrupted Asian professors see the Palestinian Arab struggle as mirroring the histories of their own communities. When an academic panel at Harvard University called for divestment from the Jewish State and at Florida International University and UC Irvine, Holocaust survivor Hedy Epstein equates Israelis with Nazis, it means that even in America the gloves of anti-Israel phobia are coming off. The terrorists from Gaza and Nablus have conquered the American campuses. They vigorously exploit "freedom of speech" to demonize Israel. They want to foment an anti-Jewish atmosphere. The Institute for Jewish & Community Research in San Francisco published a report titled "Alone on the quad: Understanding Jewish Student Isolation on Campus,” the most comprehensive survey of its kind. More than 40% of students confirm anti-Semitism on their campus; some 41% of students have encountered anti-Israel remarks made in class by professors. 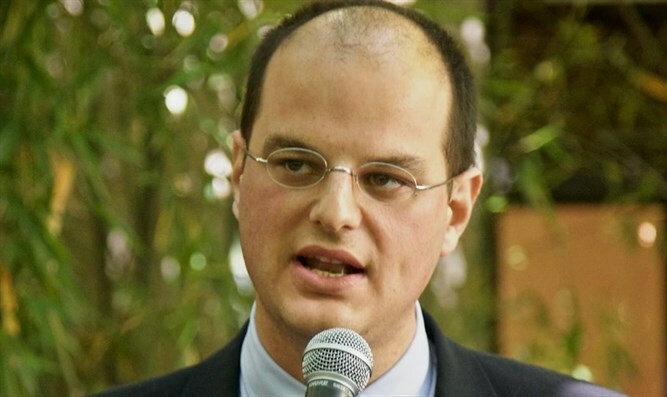 When the Italian professors of Ca' Foscari University in 2002 signed a petition which included the statement that “my conscience doesn't permit me to collaborate with official Israeli institutions, including universities", I thought that such anti-Semitic racism was the red line dividing US and European academies. I was wrong. US campuses, too, are infested with hate. Over 700 US-based academics have already endorsed the boycott of Israel, including evolutionary biologist Robert Trivers and other eminent figures. The American boycott was started in 2009 by 13 professors in California and now the movement claims activities on more than 40 US campuses. Even Brooklyn College, with its large Jewish student body, hosted a BDS event. Anti-Israel sentiment is spreading in the US academia, as at the University of Arizona, where BDS is campaigning for the university to divest from Caterpillar and Motorola; or at the University of California, Berkeley, where the Associated Students of UCB approved a resolution calling on the UCB administration and the UC Regents to divest from two companies, General Electric and United Technologies, because of their business dealings with Israel. There is also a successful "anti-normalization" campaign in the form of coordinated campaigns to intimidate Israeli and pro-Israel speakers or groups on campus. When Brandeis University hosted Israeli Knesset member Avi Dichter, students took turns shouting "war criminal" and chanting in Hebrew, "Avi, Avi, don't worry, we will meet you at The Hague." Anti-Jewish events are routinely hosted on campus. A few examples. The University of California Hastings College of the Law hosted a conference focused on legal ways to delegitimize Israel. The Department of Ethnic Studies at the University of California, Riverside, hosted a conference titled "Israeli Occupation as Racist Nation Building". "Israeli Apartheid Week" has been hosted in the most important US universities, including American University, Bard College, Boston University, Brown University, George Washington University Northeastern University, University of California, University of Florida, University of Houston and Yale University. There is also the phenomemon of daily intimidation. Last month, pro-Palestinian Harvard students posted mock eviction notices on the doors of students, warning students their homes are scheduled for demolition. Jews must feel unwelcome in the Ivy League. At San Jose State University in California a giant wall was built on campus to symbolize Israel's security fence. A checkpoint was set up near the wall where students posed as either Kaffiyeh-clad Palestinians or armed Israeli soldiers. This academic anti-Semitism contaminates classes for high schoolers as well. The book, “The Cultural Landscape: An Introduction to Human Geography,” is used in Advanced Placement classes in Williamson County, south of Nashville. A section titled, “Terrorism by Individuals and Organizations” asks students to ponder the question: “If a Palestinian suicide bomber kills several dozen Israeli teenagers in a Jerusalem restaurant, is that an act of terrorism or wartime retaliation against Israeli government policies and army actions?”. A US textbook siggests that Jews deserve to blow up in pieces. It is not hard to imagine that those who have written that textbook have a degree from some California's campus. There is an immediate, historic response we can offer to these depraved Jew-haters on the US campus: return your degree if the university is promoting or allowing some form of Judeophobia to flourish . When the University of Toronto hosted the odious apartheid week, one of its alumni, Howard Rotberg, author of the splendid book "The Second Catastrophe" (Mantua editions), returned the history and law degrees he obtained there. The brave Rotberg wrote to the President of his alma mater: "I feel such shame to have been associated with a University that feels that its facilities must be given to those who would destroy our freedoms". The Western academic and intellectual industry is rooted in the equality of humankind - with the exception of the Israelis, figuratively and physically abandoned in the dump of history. That's why we should flood the universities which are fomenting anti-Israel vindictiveness with a wave of returned degrees..